I bought four skeins of Shine from KnitPicks a few weeks back in anticipation of starting this next tank project, Alma, also from Rowan 31. This is a fabulous yarn to knit with and the fabric it creates is really soft. The stitches are practically perfect with a nice uniformity throughout. I would highly recommend it for summer knitting projects. I started Alma this weekend and am just about done with the front. 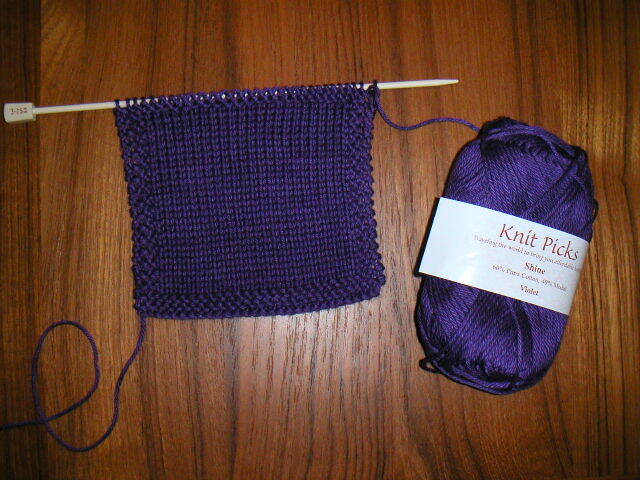 The chart pattern has been easy and fun to knit. I am omitting the flower bobbles and leaves though since I prefer a more simplified look. I also like that the straps criss cross on the back.